Air Cargo Challenge (ACC) is an international aeronautics competition, which takes place every two years. 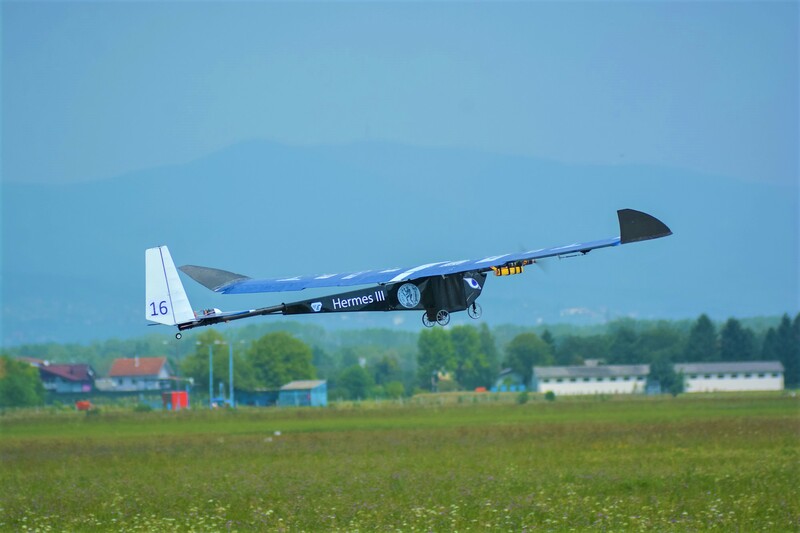 The teams that participate have to design, study and manufacture a UAV, according to the regulations of the competition, that carries the maximum possible weight while flying according a certain route. It is hosted by the winner team of the previous ACC in their homeland and gives the participants the chance to take part in an innovative project. By doing so, the students put their theoretical knowledge into practice and face problems that will occur to them in their future life as professional engineers. Our team takes part in the competition for the first time and, as a result, faces many difficulties. We manage to come 10th and our UAV lifts a weight of 6Kg. We return to Greece with many more experiences and knowledge that will help us improve our performance in the future competitions. Our team, much more experienced than before, starts from point zero in order to construct a very competitive UAV. After a lot of work, we manage to create a UAV that attracts the judges’ and other participants’ attention because of its designing and manufacturing innovations. We take the 9th position and our UAV lifts a weight of 5,5Kg. 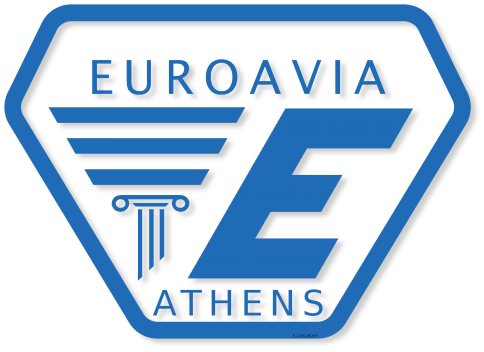 For the third time, EUROAVIA Athens designs and constructs a UAV up to the standards of the competition in order to make its presence felt. With the valuable support of our sponsors we take the 14th position and our UAV lifts a load of 7,5 Kg. Also, it is remarkable that we come 1st in the category “Prediction of the Payload”. The preparations for the participation of our team in the 2019 competition have already started! We intend to use our old members’ experience and knowledge and combine it with the passion and yearning of our new members. This year we desire to build a totally competitive UAV that will lead us to the podium. There are still many difficulties and challenges, but our love for aerospace engineering keeps us focused on our goal.